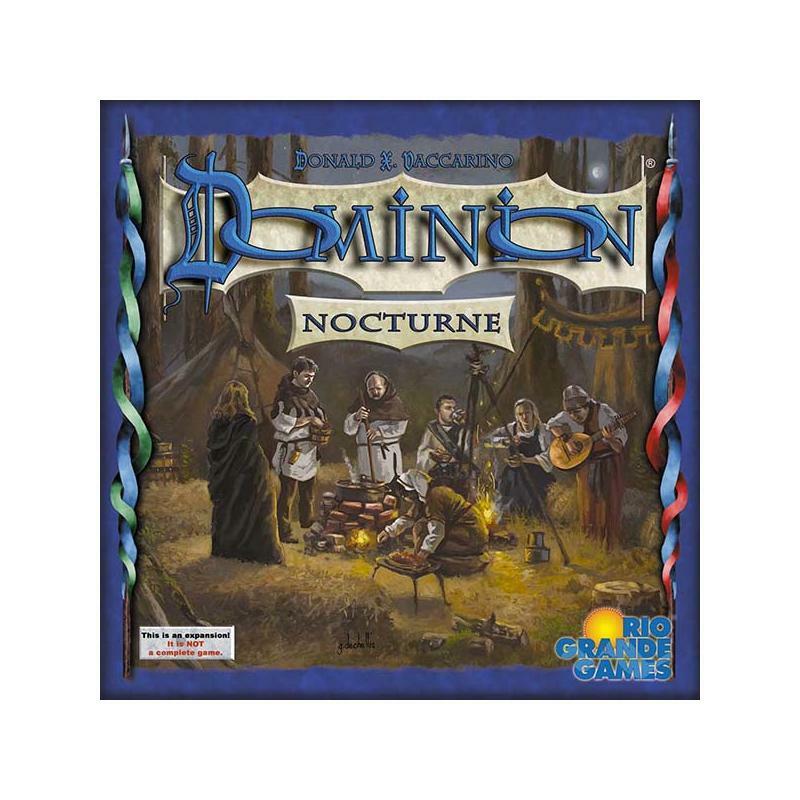 Dominion: Nocturne is the 11th expansion to Dominion. It has 500 cards, with 33 new Kingdom cards. There are Night cards, which are played after the Buy phase; Heirlooms that replace starting Coppers; Fate and Doom cards that give out Boons and Hexes; and a variety of extra cards that other cards can provide. Do you imagine if enough new sets get released a third tier (Platinum, probably) of subscription might be needed?